Girona is a beautiful, ancient, spanish town, its beauty is hidden by the nearby and worldwide known Barcelona (only 100 km far). 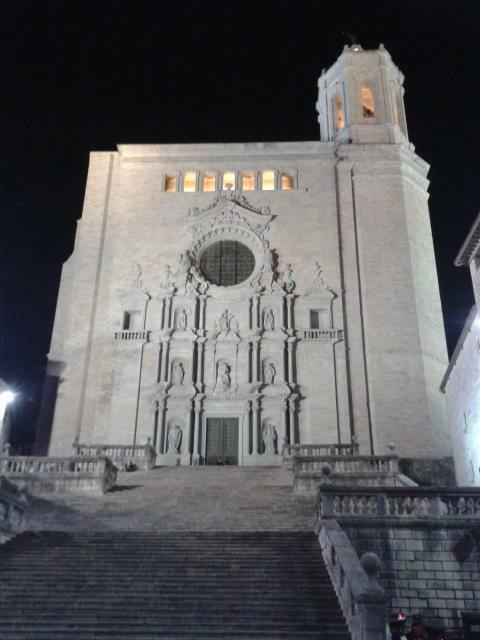 Girona has a genuine spirit, quiet atmosphere, beautiful city centre, with a distintive ‘soul’, typical of this area of Spain, with a peculiar mix of mediterranean and pireneus influences. The compact old town can be visited in one day, but spending few days here is a pleasure and it will let you discover the original catalonia region, far away from the massive number of tourists that you will meet in Barcelona. Girona has an international airport wih many low-costs flights. From the airport there is a bus every hour (ticket costs 2,30Euro), in 20 minutes you will arrive at the main train/bus station, not far from the city centre. My first suggestion is to stay at Equity point hostel. This is the best and cheapest accomodation available in town. Location is perfect, in the big and central Placa Catalunya, directly in the city centre and not far from the train/bus station. 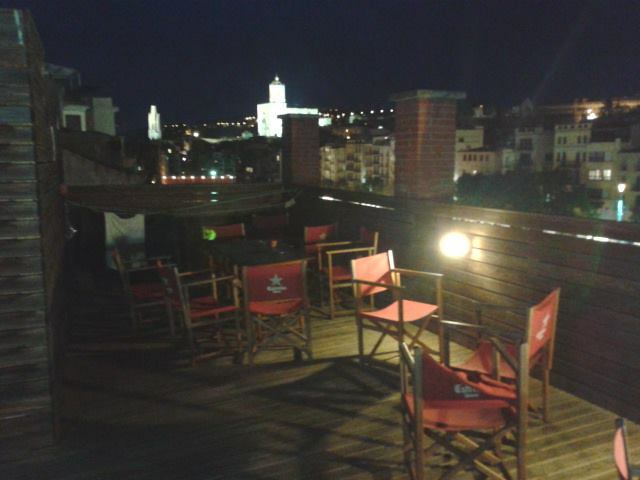 The hostel has a friendly staff, clean rooms and nice common areas, with a wonderful roof terrace, where you can enjoy the view of the city. Girona has a well preserved city walls, in the northern part of the city. A walk along the walls will give you a perfect view and understanding of the city, you can also appreciate the natural environment that surround the city, green land and mountains. The old town has a medioeval architecture, with narrow streets and houses built with stones. 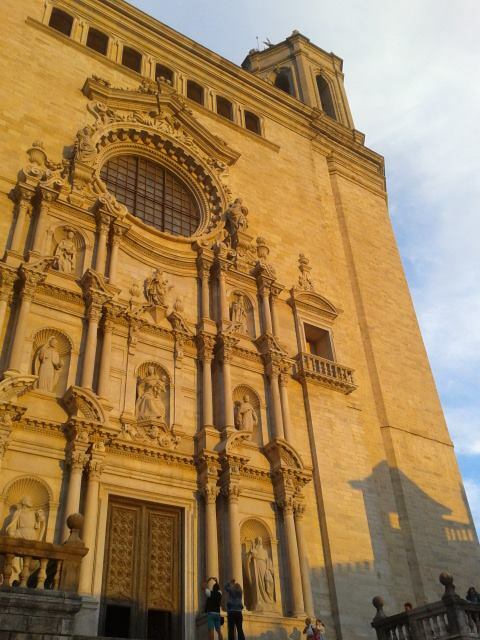 The Cathedral of Santa Maria de Girona is also a beautiful landmark and symbol of the city. 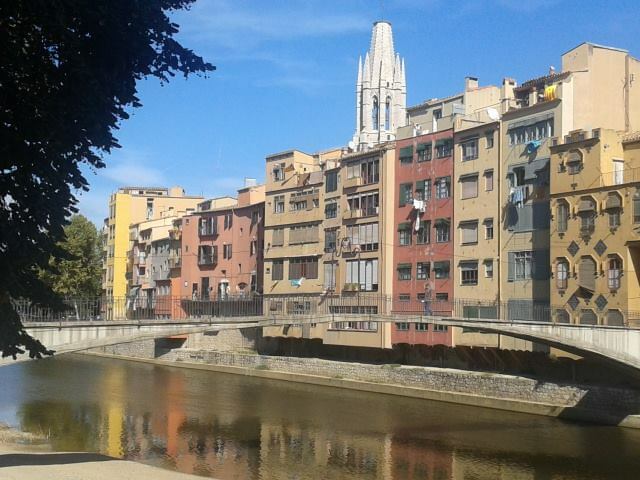 Girona has a small river and many bridges with scenic and coloured houses along it. If you are staying more days there is also a beautiful city park, on monday with a vegetables and fruits market.